CALL 1890 945 950 for our best van insurance quotes and see why over 40,00 customers in Ireland & the UK now trust us to insure their story. What's yours? Over 30,000 customers now trust us to insure their story. What's yours? See why we're trusted by taking out a home policy with Principal. Our policies offer cover for vans with short or long wheel bases, including refrigerated, temperature-controlled, car-derived, chassis, pick-up and box vans. We’re with you every step of the way. 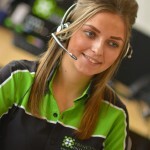 You’ll find our staff are on hand if you need to contact us to amend or claim on your policy. So don’t delay. Talk to the Principal team about your van insurance needs by calling 1890 945 950. * Benefits, limits and exclusions will vary between insurers on our panel. Please ask for details when getting your van insurance quotation.